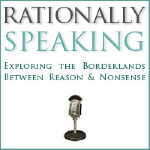 Rationally Speaking: Podcast Teaser: Two episodes on the limits of reason! Podcast Teaser: Two episodes on the limits of reason! Julia and I are about to tape two episodes loosely arranged around the theme of the limits of reason, which for something called the Rationally Speaking podcast seems to be particularly appropriate. In one episode we will talk with guest Robert Zaretsky, co-author of The Philosophers' Quarrel: Rousseau, Hume, and the Limits of Human Understanding. Robert has a joint appointment between the Department of History and the Honors College at the University of Houston. His co-author, John T. Scott, is professor of political science at the University of California, Davis. Zaretsky and Scott are also coauthors of Frail Happiness: An Essay on Rousseau. Robert's new books are Albert Camus: Elements of a Life, and (with Alice Conklin and Sarah Fishman) France and Its Empire Since 1870. Here is an extract from the book’s description: The rise and spectacular fall of the friendship between the two great philosophers of the 18th century, barely six months after they first met, reverberated on both sides of the Channel. As the relationship between Jean-Jacques Rousseau and David Hume unraveled, a volley of rancorous letters was fired off, then quickly published and devoured by aristocrats, intellectuals, and common readers alike. Everyone took sides in this momentous dispute between the greatest of Enlightenment thinkers. Zaretsky and Scott explore the unfolding rift between Rousseau and Hume. The authors are particularly fascinated by the connection between the thinkers’ lives and thought, especially the way that the failure of each to understand the other — and himself — illuminates the limits of human understanding. In addition, they situate the philosophers’ quarrel in the social, political, and intellectual milieu that informed their actions, as well as the actions of the other participants in the dispute, such as James Boswell, Adam Smith, and Voltaire. By examining the conflict through the prism of each philosopher’s contribution to Western thought, Zaretsky and Scott reveal the implications for the two men as individuals and philosophers as well as for the contemporary world. The second episode will broaden our look at the limits of reason to include a discussion of the failure of “foundational” projects (e.g., the quest for the ultimate bases of scientific reasoning, or of logic and mathematics), a recent paper on the evolutionary psychology of reasoning that has made mainstream news (and which I have discussed to some extend here at RS), as well as — of course — the oft-heard remark that “X goes beyond reason,” where X is a religious doctrine, a mystical “insight,” or one type or another of pseudoscientific claim. As usual, comments are welcome, and we will select a few to be read and discussed during the two episodes.